Harry Brown (2009) – What's New on Netflix Canada Today! In England, retired Royal Marine Harry Brown spends his lonely life between the hospital, where his beloved wife Kath is terminally ill, and playing chess with his only friend Leonard Attwell in the Barge pub owned by Sid Rourke. After the death of Kath, Len tells his grieving friend the local gang is harassing him and he is carrying an old bayonet for self-defence. Harry suggests he to go to the police. When Len is beaten, and stabbed to deatry detective Inspector Alice Frampton and her partner Sergeant Terry Hicock are sent to investigate. They pay Harry a visit but don’t have good news; the police have not found any other evidence, other than the bayonet, in order to arrest the hoodlums. This mean that should the case go to trial the gang would claim self-defence. 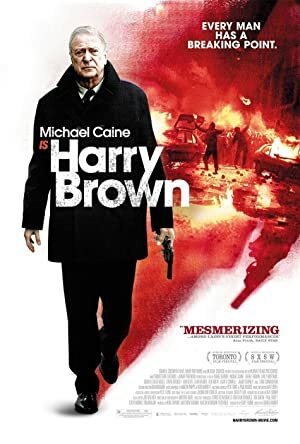 Harry Brown sees that justice will not be granted and decides to take matters into his own hands.